Hmm, still hazy today. 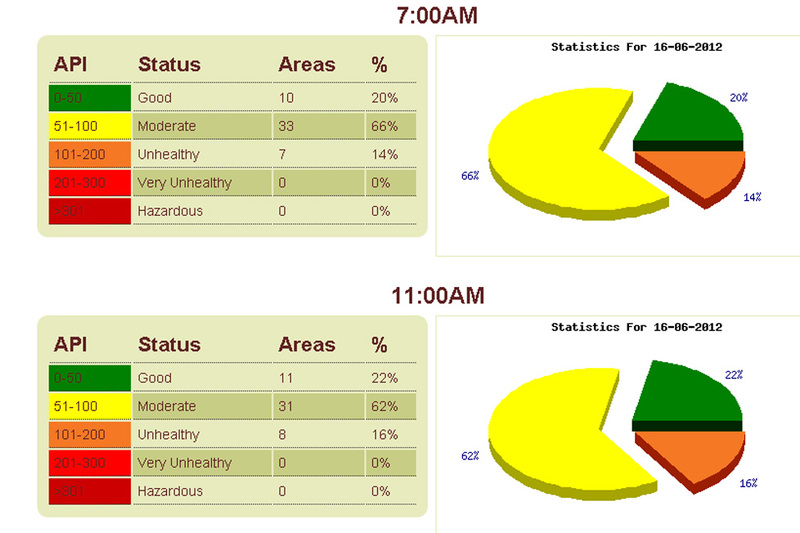 The percentage of areas with unhealthy air quality had risen to 14% at 7am today (16 June 2012) from 8% at 5pm yesterday. And with no rain forecast until next week, coupled with weak winds that is not helping the dispersion of the haze, it appears that we will have to be content with smoky, acrid smelling air and lowered visibility in the city. 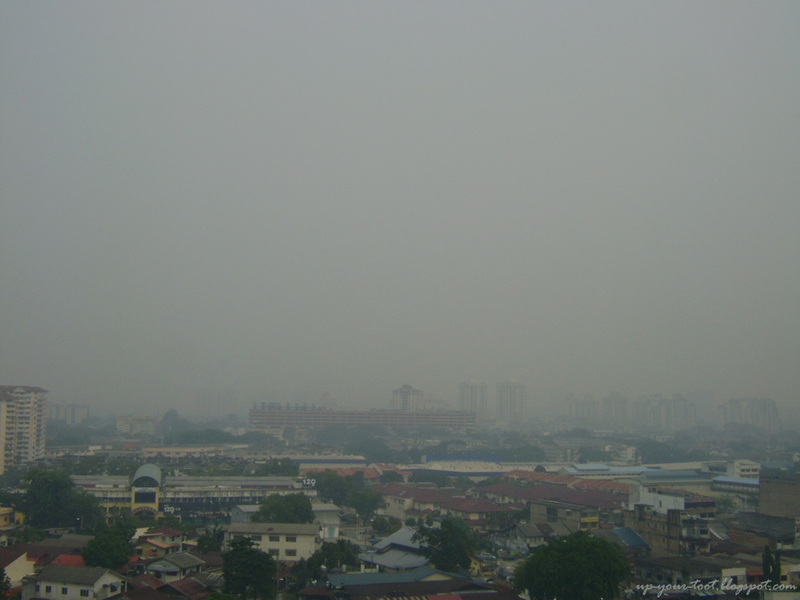 The haze in KL is not getting any better. In fact it might be getting worst - compare this picture with a picture in yesterday's post. The Air Pollutant Index data from the Department of Environment Malaysia for 11am shows that the percentage of area with unhealthy air quality is at 16%, an increase from 2% from the 7am data.So I guess it is getting hazier when compared to yesterday. Hopefully this patch of haze will get dispersed when it rains. 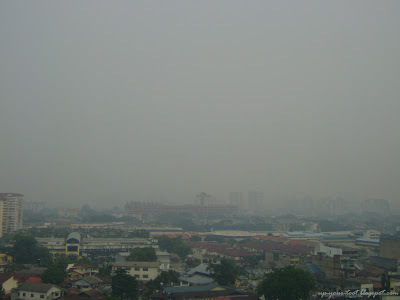 The Air Pollutant Index data from the Department of Environment Malaysia showing percentages of area with different status of air quality for 7am and 11am 16 June 2012. Yeah, it is just horrible. Hopefully there will be some rain by Monday to clear this up. There were none over here :-( And I am still missing the view of Twin Towers from over here, just a greyish veil where they should be. Windy and cold here in Melbourne. Yup. I always have my inhalers ready walaupun dah lama tak guna. Wish it was windy here. There for a break? Nah for my son medical care. The new Royal Children Hospital front side look more like a shopping complex rather than a hospital. They have meerkats and a big aquarium here. Oh ya the ixia and sparaxis bulbs did sprouted and growing in sungai buloh. But due the combination of haze and hot weather, it damaged the young plants. so hati-hati ya if you have planted them. I pray for his speedy recovery. That is a good idea, something to keep the kids occupied and disassociate with the traditional hospital look. Perhaps less stressful to the parents too. I just put mine into grown, but I am in Penang for the weekend as I had to attend a meeting here. Thanks for the tip, will have to watch it closely when I get back.